This is a must read for couples with children, who are divorcing or ending their relationship. As a counsellor with many years experience, I have been witness to the collateral damage to children in these circumstances. The point of this article is that couples can part without damaging the children or at the very least minimise it. The actual word abuse has many bad connotations and is not really defined in dictionaries for what it really is, only examples of the results are given. The best definition that I’ve experienced during my study says, abuse is anything that is forced into a persons space that they do not want, be it, physical or verbal. Abuse could also be , especially in the case of children, not giving them what they need or want. This does not mean giving them every toy etc, that they want, it means giving reassurance, a quiet truthful word or a hug when needed or appropriate. The worst and most damaging abuse that I am aware of is, when couples who are having troubles or have parted spend time telling the siblings how bad the other partner is etc. This causes massive confusion and trauma for the children involved. Children naturally love their mother and father, so having one parent trying to get them to, not love or worse still hate then other parent is abuse in the highest order. Note: It is a proven fact , that abused people (children in this case) often become the abusers in later life. This type of abuse has long term adverse consequence, in many cases that I have been involved in as a counsellor, also from my own personal experience ,it has set up damaging patterns that repeat in each new generation unless handled properly. Children learn by example, how to handle life and relationship problems from their parents. 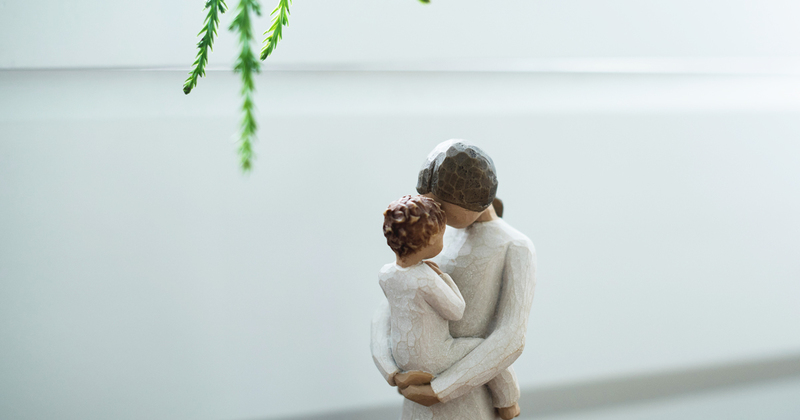 A client in her 50’s who was always struggling with a feeling of guilt, was convinced that she was the cause of her mother and father divorcing when she was only five years old. Incidentally this client had also experienced many relationship problems during her life. Another client whose parents parted when he was only few months old, and had never actually met his father, until he was in his late 50’s. His mother had convinced him over many years that his father was a very bad person. Apparently when this client was young and did anything to displease his mother, she would say, “You are just like your father.” This client spent a good part of his growing up years trying desperately to not be like someone he had never seen or met. I am sure the consequences need no explanation. Once again relationship problems followed. Incidentally this client was convinced that he was a bad person also, until he had it handled later in life. Another example that is quite common involves a 3rd person in a relationship, who forces their opinion onto one side of a marriage or relationship. This person married the girl of his dreams but the mother of the girl never accepted him, she would not even talk directly to him when he was visiting her house. The mother had a broken relationship of her own, so all men were no good in her opinion, she kept up her men are no good tirade towards her daughter. Eventually this contributed to a divorce for the couple. No doubt the children from this union have been told how bad their father is, setting them up for relationship problems of their own in the future. Couples who break up but remain on friendly terms and are happy with and encourage their children to have a good relationship with all concerned, contribute greatly to their children’s wellbeing and future happiness. To sum up, a partner after a break up who denigrates their ex to the children do much more harm to their own children than they ever do to their ex, the real target. It’s also worth mentioning ex partners who keep up the denigration and hate over many years are only trying to keep the attention on the ex, and off themselves. so their part in the break up never gets examined and in most cases, it needs to. To finish on a more positive note. While reading a book about the life of seven very successful people I became aware of a common denominator in all of their lives. This was that, their parents had always instilled in each of them as they grew up that, “You can achieve anything you want to.” I consider this a very good suggestion for all Mums and Dads and primary caregivers. As a result of reading this, I sincerely hope that statements that I’ve heard from ex-clients, coming from one of their parents such as “You’re stupid”, “You will never amount to anything” “You’re useless”, etc, will disappear and become redundant, in caring families. An ounce of care saves a ton of cure. The Mace Energy Method has special procedures to address all relationship problems such as those mentioned in this article also the residual negative effects of abuse of any type. For more information please visit my web-site.